Michael Jackson’s death not only affected millions of fans worldwide this week, but he nearly brought half the Internet down with him. Within minutes of TMZ breaking the story, traffic on Twitter spontaneously doubled, while Facebook updates tripled. Widespread slowdowns and outages plagued entire networks, with a mass effect not seen since the Google Failure earlier this year. Akamai’s real-time monitoring of web-traffic showed a spike in activity on the major news sites of over 2 million visitors per minute. In and of itself, that’s not unprecedented, given that events like world soccer matches and President Obama’s election have reached numbers as high as 8 million pageviews per minute. In this case, the traffic went from a relaxed state to an extreme activity-spike in such little time that the servers and didn’t have time to adjust. As news sites began to tumble, users quickly shifted to the next, causing a domino affect as each inevitably choked. All the while these very same users were updating Facebook, Twitter and AOL Instant Messenger as well as their email services with alarming momentum. The rush lasted from the late afternoon when the news broke through the following morning, when sites and services affected would begin to show signs of recovery. Irony: The protesters in Iran using twitter as com are unable to get online because of all the posts of “Michael Jackson RIP.” Well done. 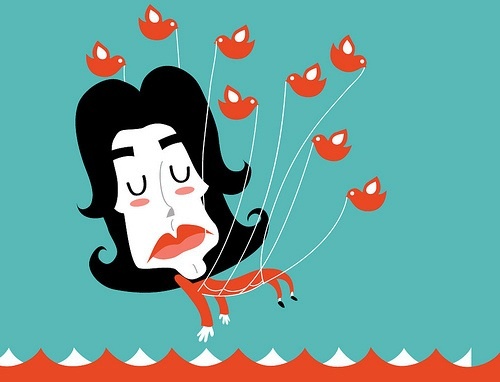 Another user expressed amazement at how quickly the news had penetrated the furthest reaches of the internet, tweeting that “People from Iran tweeting about Michael Jackson, this is getting very bizarre.” That update was posted less than 20 minutes after the news had broken. The denizens of major social networks didn’t stop at just impressing mainstream media, inundating their news sites, and slowing the Internet to a halt. Pranksters took advantage of the situation and damaged the overall credibility of social media by spreading false news of other celebrity deaths during the tumult. Jeff Goldblum and Harrison Ford were chief among the unfortunately e-deceased. Goldblum in particular was so sensationalized in his passing that his publicist had to make a statement to the press. Web 2.0 is said to be the Social Web. As with any large-scale social sphere there are going to be positive and negative aspects, and the Internet is no different. In this case, while there may have been some shenanigans (also a traditional and intrinsic part of the Internet), the overall take-home feeling is that social-networking earned a badge of honor under extraordinarily sad circumstances. The networks may have buckled under the pressure but the message got through: RIP MJ, you will be missed. Michael Jackson is one of my favorite pop rock artist, i really miss him the way he dance and sing a long with it. he will never be forgotten he can be considered as legend. Rest in Peace.